This is the question that everyone has this time of year. The answer is…it depends. 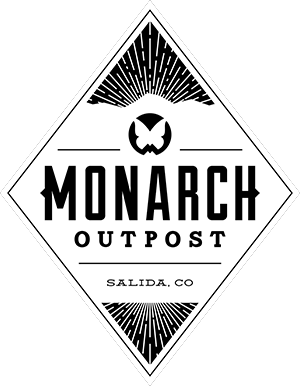 As all of you Monarch aficionados know, we rely solely on all natural snowfall. No white ribbon of terror found here. (The single open trail of man-made snow that is full of skiers and riders found early season at other mountains). We allow mother nature to deliver an adequate amount of snowfall so that we may then open several lifts and trails at once. We look for enough snow to build up our top and bottom lift ramps, provide egress to and from trails, maintain bamboo and fence placements for closures/lift mazes and enough on trail coverage to provide a reasonable surface for skiing and riding. The trails also need to be able to hold up to hundreds of skiers per day and nightly grooming by our snowcats. Our goal is to not only have enough snow to open but also be able to maintain daily operations until that next storm arrives. Generally speaking, we look to have around a foot and a half to two feet of an unsettled snow depth (base) for opening the mountain. The unsettled base is the measurement of snow at our mid-mountain snow study that is well…undisturbed. This zone is protected from the compaction of skiers, riders and snowcats. Trails that are prepped for opening have been track packed by snowcats or ski cut/packed by Ski Patrol. So these areas typically contain a snowpack that is not as deep as what is found at the snow study location. While this area gives us a benchmark for what our snow depth is, it really can vary on the mountain based on aspect, elevation, and wind direction during storms. This variability is taken into consideration as well. The Mountain Ops crews are out there working with what we have received thus far getting things set up for the season. Track packing continues and lift load areas are being prepped. We have encountered a few days of dry weather this week with a chance for some snow later this weekend into early next week. Overall, we are off to a good start, but we are really looking for at least one more decent storm to open. So watch the weather forecasts, check the snow reports, and follow the blog. When I know, so will you.